Louis Cartier boldly made his move as a long time friend, Alberto Santos Dumont, asked for something that penned on the history of watch-making. 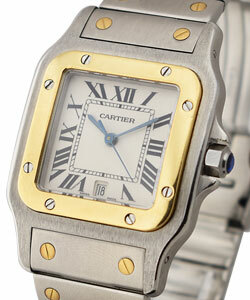 A pioneer of aviation, Santos Dumont, requested Cartier to design a watch that he could use for his flights, thus the creation of the Santos wristwatch, which marveled history as the first wristwatch for men. 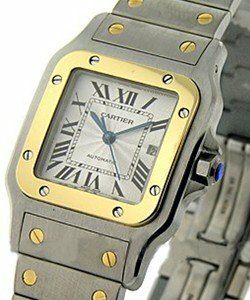 A necessity became a commodity that pioneered and gave way to an astonishing feat, giving birth to the Cartier 2-Tone Santos XL New Dial Men?s Automatic. 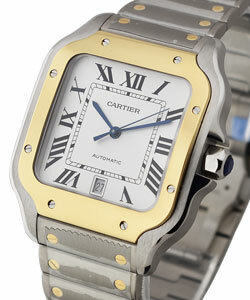 Cartier 2-Tone Santos XL New Dial Men?s Automatic is not just a symbol of history but also an epitome of brilliance and style. This watch is an extra large model, a timepiece created by stainless steel material combined with 18K yellow gold with an 18K yellow gold bezel in its case. You will feel that you have travelled back in time as the dial is embellished with Roman Numerals, rather than simple counting numbers instead used for reading time. Its blued steel hands are sword shaped. 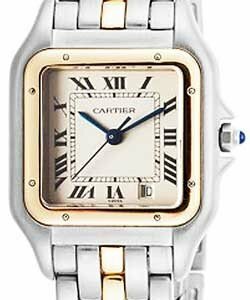 Magnificently designed for Santos, Cartier didn?t disappoint him with its beautifully crafted steel octagonal crown set with faceted spinel and silver opaline dial as it goes to show off his brilliance as a jeweler. 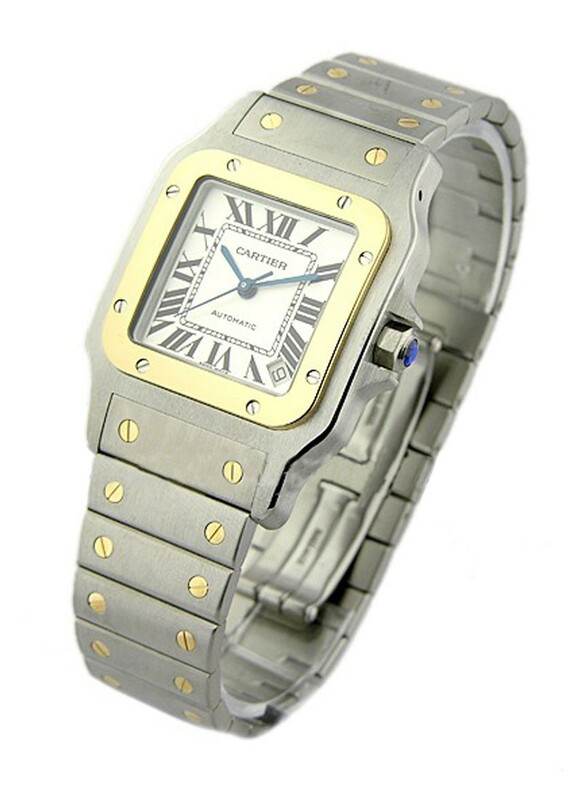 The Cartier 2-Tone Santos XL New Dial Men?s Automatic gives you accurate time with its mechanical movement with automatic winding Cartier caliber 049, and is water resistant to 100 ft.